In case you want your trainees to have an extra source of information with them (e.g. 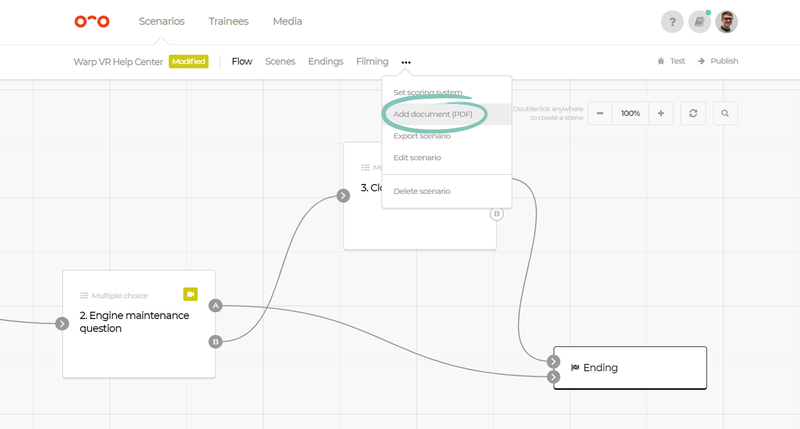 a manual with procedures), you can add a PDF document to your scenario. This document can be viewed at any time by the trainee while they're playing the scenario. The document can be accessed by a button which is always present at the bottom of the screen. How to add a PDF document? Click on the 3-dot menu and select 'Add document (PDF)'. 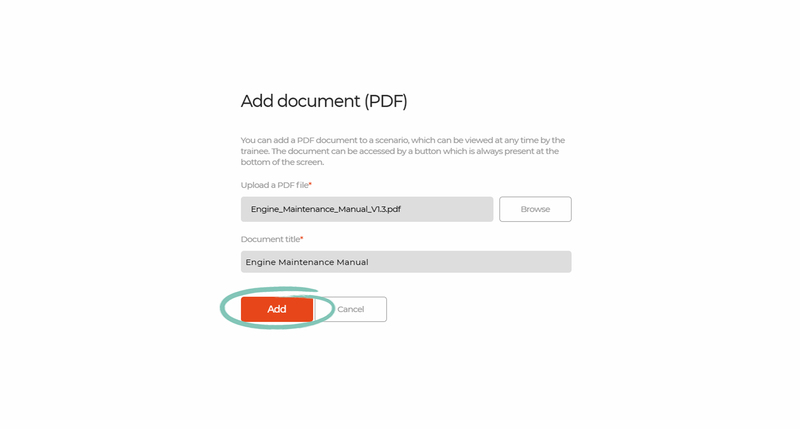 Upload the right PDF file and add a document title.